Success in parliamentary strengthening: What does it mean? We must not lose sight of the virtues of promoting the development of strong parliaments, independent of issues deemed important by donors. A sculpture advocating the independence of the disputed territory of Somaliland. Vladimir Lysenko/Wikimedia. Some rights reserved.In her article “How to navigate trade-offs in parliamentary strengthening”, Susan Dodsworth developed an interesting framework for parliamentary strengthening programs that identified four different approaches taken by donors, including a focus on issues versus institutions, and on narrow versus inclusive approaches. While the framework is descriptive of donor approaches, what I would like to highlight are the implicit ideas of what success looks like to donors (outside of a few parliamentary strengthening specialists working within those donor agencies.) This is not a critique of Dodsworth’s arguments but of how these concepts reveal problems in what is valued in parliamentary strengthening. The traditional divide in parliamentary programming has been between that of institutional development (the earliest approach) versus a newer focus on promoting the advancement of selected issues through parliamentary support. As I have argued elsewhere, the motivation behind support for institutional development (e.g. support for libraries, building the capacity of research and committee staff, enhanced human resource management) rests upon the belief that an effective parliament requires institutional support in order to carry out its legislative functions. [i] That view of a successful legislature was drawn from the West – as suggested by the focus of the standard indicators used to measure legislative improvement, which include features such as: the number of laws passed with donor support; the number of amendments proposed with donor support; and the number of hearings held with donor support. The donor focused on improving the institution so as to avoid the charge of unseemly interference with politics or sovereignty of the beneficiary country. This institutional approach, however, was not applied in a vacuum, but rather within the context of a broader range of support for governance reforms in which the parliament was a part. While the donor might hesitate to lobby the parliament, the donor often sponsored support projects working with a ministry, like the Ministry of Justice, promoting reforms in access to justice or the regulation of business that often include assistance in drafting new laws or amendments to existing laws to accomplish these reforms. Thus, in countless interactions with donor officers – particularly those supporting other branches of the government with a particular reform agenda, during the course of implementing institutional support programs, I and many of my colleagues have regularly heard complaints of “Why can’t you get the parliament to pass this law/adopt the budget?" and so on. The current shift towards programming focused on promoting specific policies, therefore, simply represents an explicit acknowledgement of this pre-existing attitude towards parliament. Many donors and their officials view parliament solely as an instrumental means to advancing specific issues and agendas. The difference is that they are now willing to acknowledge that they are politically engaging with the parliament in advocating for issues that they are concerned about. While engaging with the parliament to support necessary reforms can be important for the democratic development of a country and can contribute to the development of the parliament as a key element of national governance, I would like to suggest that in measuring the success of parliamentary strengthening that we not lose sight of the virtues of promoting the development of a strong, independent parliament, independent of whether or not it enacts the issues deemed important by a donor at any one time. Moreover, focusing on the parliament as an important branch of government within the context of the larger governance of the state might point to the need to promote development that would appear to run counter to the issue focused goals of much current practice. We can illustrate this through the following two examples. Specifically, in the USAID-funded Afghanistan Parliamentary Assistance Project (APAP) (2005-2013), we provided technical support to the budget committees starting in 2008 that included their review of the budget as submitted by the government and the review of budget expenditures once the budget was passed. Moreover, in order to support their review, the committee needed access to additional background information on financial resources available, the estimates of costs developed by the government, and prior expenditures. To get this, the National Assembly, with APAP assistance, worked with the Ministry of Finance to obtain this information through publicly accessible reporting in a readily understandable format. The National Assembly also demanded greater clarity in budgetary categories. Collectively, these reforms in the Ministry of Finance practice along with how the budget was handled in the parliament led to dramatic improvements in Afghanistan’s rankings under the Open Budget Index where it went from a score of 8 out of 100 in 2008, to 21 in 2010 to 59 in 2012. The 2012 score of 59 put Afghanistan tied with Poland and ahead of such countries as Argentina, Botswana, Malaysia and Turkey. The second problem with an issues focus is that it can lead to the distortion of an indigenous parliamentary style deliberative body into an imitation of a western parliament without concern for the developmental status of that deliberative body or the role it can and/or should be playing within that country at that particular stage of its development. We can see this with the Guurti in Somaliland that ignored the important role it had served in the country so that it could be ‘reformed’ to conform to western understandings of a parliamentary body. In Somaliland, the Somali people traditionally resolved inter-tribal or territorial conflicts through the Guurti or a gathering of Elders. [iii] During the long period of civil unrest following independence and the collapse of the Somali National government, the Guurti led a movement towards peace and reconciliation within Somaliland, bringing together the various parties to the conflict to discuss their concerns and negotiate means of resolving the conflict. This was independent of the movements supported by the international community throughout the rest of Somalia. 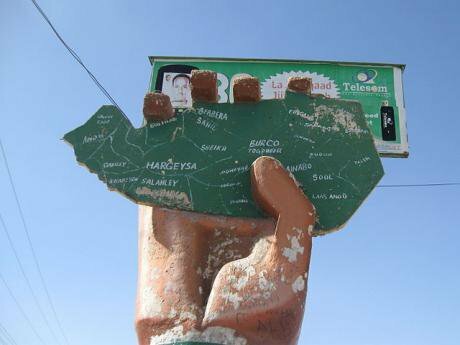 Moreover, Somaliland achieved a level of peace and security by 2002 that is still to be matched in greater Somalia. In establishing the Somaliland government (which claims independence from the Federal Government of Somalia), with international support, the government adopted a bicameral legislature including a lower house and incorporating the Guurti as the House of Elders or senior house. However, in this formalisation of the Guurti as a legislative body with full legislative powers, some commentators argue that it has lost its moral authority to resolve social conflict. Unlike the prior form of the Guurti, which was viewed as non-political and neutral arbiters who could facilitate tribal conflict resolution, the House of Elders has increasingly been viewed as a political body concerned with enacting laws and acting as a legislature. They are now distrusted as simply another body of politicians. In a country in which stability remains fragile, the loss of this moderating institution is a matter of serious concern. Providing technical support for particular issues in parliamentary strengthening can be an important tool to promote development. Insofar as members of that parliament are interested in that issue, it provides a natural entry point for technical support both engaging the interest of the parliamentarians and giving concrete focus to the training and capacity building that the donor is providing. Moreover, an issue focus that leads to positive social reforms can rebound to the parliament’s benefit as it lays claim to the accomplishment of that reform. Nonetheless, an exclusive focus on parliaments passing laws to advance a particular policy may lead to a hollow victory – in which the parliament goes through the motions of supporting a policy at the behest of a donor (which some scholars identify as isomorphic mimicry), neither building its own capacity nor contributing to the broader political support necessary to translate a law into practice. By valuing the institution and the role it can play in the government, donors are in a better position to assure that over the long term that legislative process can lead to substantive reforms. [iii] Abdirahman Abdulle Osman and Mohamed Hassan Ibrahim, “Strengthening the Role of Parliament in Constructive Conflict Management. Case study of Somali Experiences” (2005) available at http://www.agora-parl.org/node/900 (accessed 10/30/13). This article is published in association with the Westminster Foundation for Democracy, which is seeking to contribute to public knowledge about effective democracy-strengthening by leading a discussion on openDemocracy about what approaches work best. Views expressed herein do not necessarily reflect those of WFD. WFD’s programmes bring together parliamentary and political party expertise to help developing countries and countries transitioning to democracy.